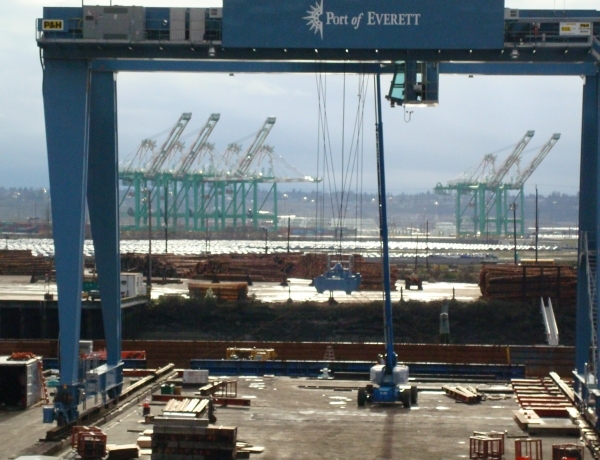 Container Handling Gantry Crane for the Port of Everett | Jesse Co. Fabrication of 52 Ton Capacity Gantry Crane for Morris Material Handling / P&H Cranes. 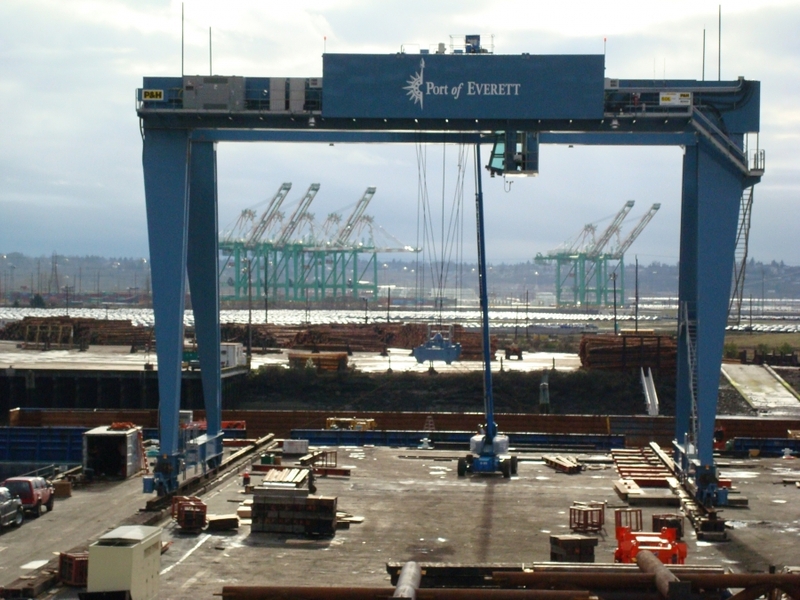 The Gantry crane is used by the Port of Everett to unload specialty shipping containers of airplane parts for Boeing. The crane has an 85 foot span and a height of 80 feet. The total crane weight is 250 tons. The crane was erected and tested at Jesse Co.’s facility and rolled directly onto a barge for shipment to the Port of Everett.